You must make reservations at least 5 minutes in advance of the time at 18th & Vine Barbeque. Complimentary Valet, as well as street parking and a private parking lot. 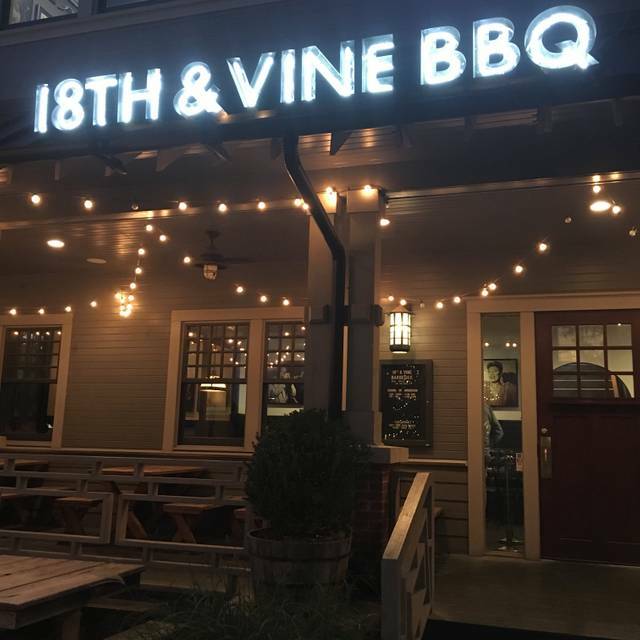 18th & Vine BBQ – an upscale Kansas City barbeque. Our menu features traditional Kansas City barbecue plates, in addition to composed chef-created dishes. We offer a full bar, which boasts seasonally inspired cocktails, in addition to our extensive beer and wine lists. 18th & Vine BBQ is open daily for lunch and dinner. A quaint upstairs dining room, The Roost, features its own bar and restrooms, perfect for any private event. 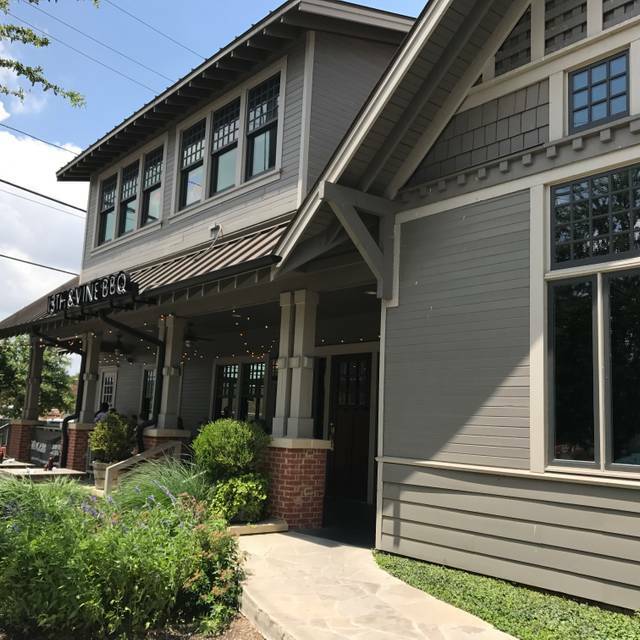 The entire space is 3400 square feet with 100 seats downstairs in the main dining area and 30 seats upstairs at The Roost. love the sauce? take it home! The family who eats BBQ together, stays together! Treat Mom to a great spread here at 18th & Vine. Join us on Easter Sunday & order The Whole Sha-Bang for the whole family to share. Who doesn't want BBQ on a Sunday? Awesome service. Great table on the porch. Excellent music selection. Had ribs, grits and banana pudding and it was all incredible. 10/10 will return and recommend. Remember, I am rating this as a barbecue place..... a relaxed casual environment for hearty meats. This has to be the most attractive 'cue joint I've found. There is a great bar, patio, and dining hall. Clean and contemporary. The service was great, and the food was excellent.....great Kansas-style 'cue, and a few gourmet starters and sides. When did you ever get hot smoked salmon and roasted Brussels sprouts with your 'cue? Good was very good, loved the barbecue sauce! The collard greens were my favorite part - so delicious and just the right amount of sweet. It was very quiet when we first arrived, but picked up for a decent brunch crowd by the end of our meal. Attentive staff, good drinks. Very pleasant, I would go back! Definitely get the Burt Ends! The food was great. I wasn't expecting that quality of BBQ at a restaurant like this place. The service could have been a bit better. We went when it was slow and the waitress still couldn't remember things like we wanted water. The house its in is really cute, I like the decor but I think if its busy it would be loud in there. First time visiting 18 & Vine. Lived hee 2 years and haven't found "our" BBQ place until now. 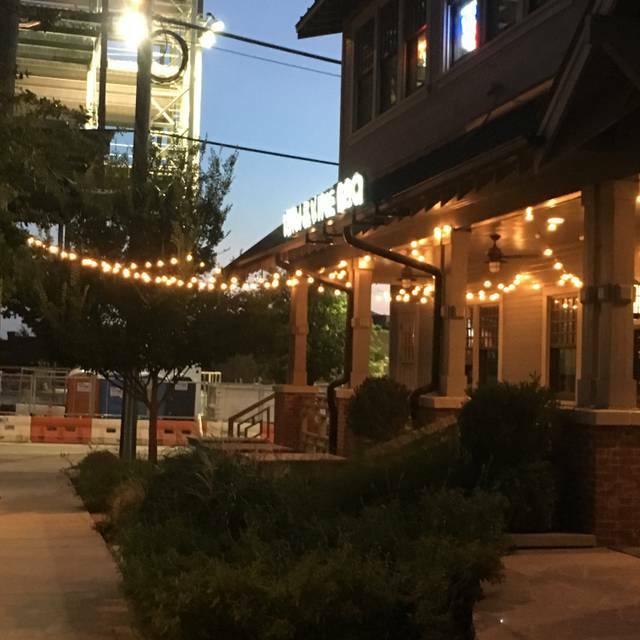 Our first impressions were: nice to have valet parking, nicer ambience than most barbecue restaurants and a great server. Now to the food. Between 3 of us, we tried brisket, pulled pork, sausage, ribs. brussels sprouts and baked beans. Everything was delicious. 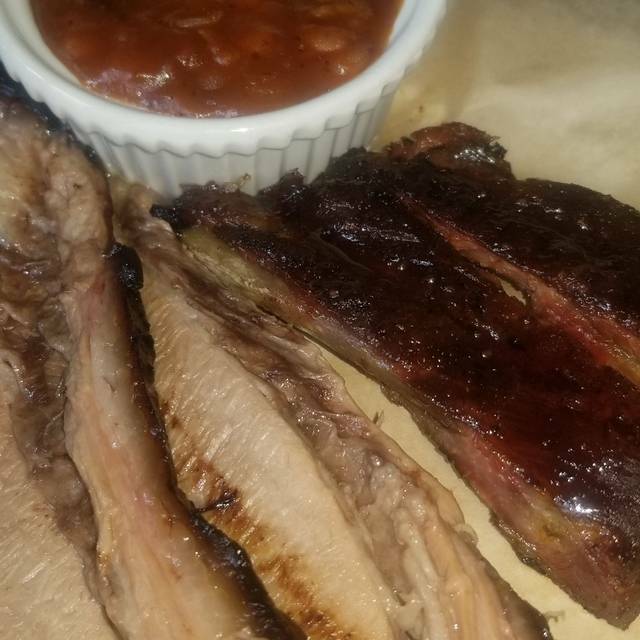 Brisket and pulled pork were meltingly tender, ribs were pretty much perfect with their bbq sauce and the sausage was a favorite with just a hint of heat. Sides were great - the brussels spouts had a slight char on them that was delicious. Service was prompt but not rushed and we left very satisfied with our meal. This is now "Our BBQ lace"
Great turkey. Moist and yum. Great casual dining. Close to as good as what you get in KC. This is some pretty serious BBQ. The brisket is some of the best in town. Service was really good, as expected. Really nice drinks that are not super sweet like most places. The brussel sprouts were awesome. Kids really like the fries but not so much the mac & cheese. The collard greens were ok. The smoked wings are good but the value on the apps isnt spectacular. We were a little disappointed that the variety platter thing has been taken off the menu, and ordering in 1/2 pound increments makes it a little hard to get a big variety. 1/3 pound would be good. I wouldn't mind one more low carb family side option (a big salad, cauliflower, etc.). They no longer have live music upstairs. Isaac was superb! Fantastic BBQ!!! Burnt ends is where it’s at! Everything was delicious from the queso to the best turkey ever and delicious apple pie! Brisket was below average, especially for Texas. We have been to 18th & Vine numerous times. It’s about an hour drive from where we live but always been worth the drive in the past. 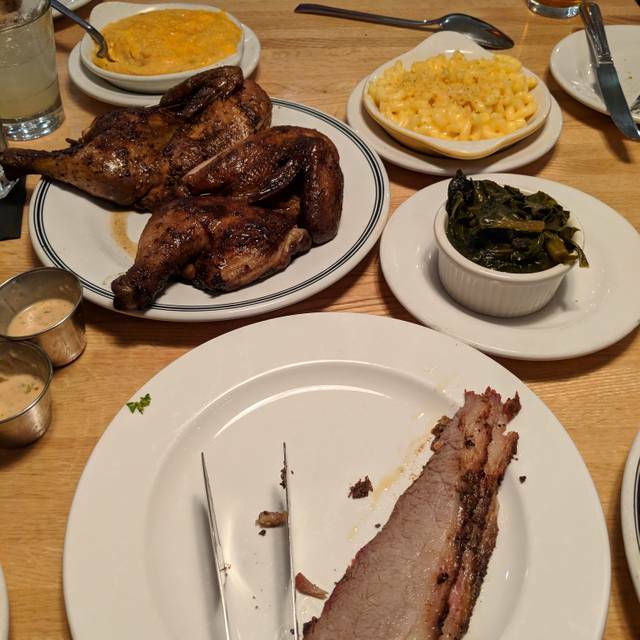 We decided to take some friends we hadn’t seen in a while, promising the best BBQ they’ve ever had. We were a little disappointed on this visit. 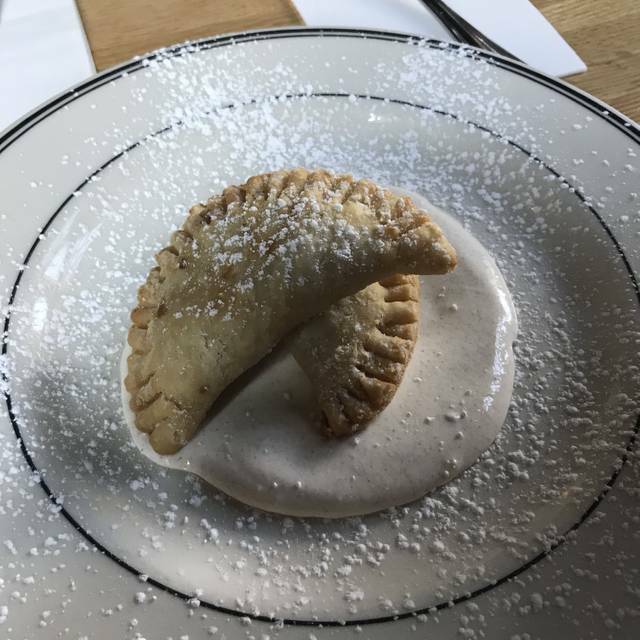 The drinks and dessert were fantastic. 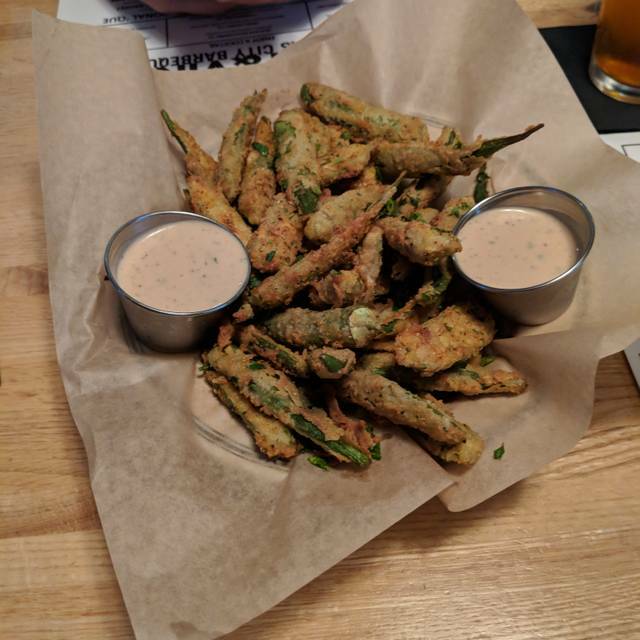 The okra appetizer was delicious. The service and main courses left much to be desired. The waitress seemed mildly interested in creating a great experience. I’m not sure she smiled once during our visit. The burnt ends were dry and didn’t have that same “melt in your mouth” greatness that we’ve experienced before. 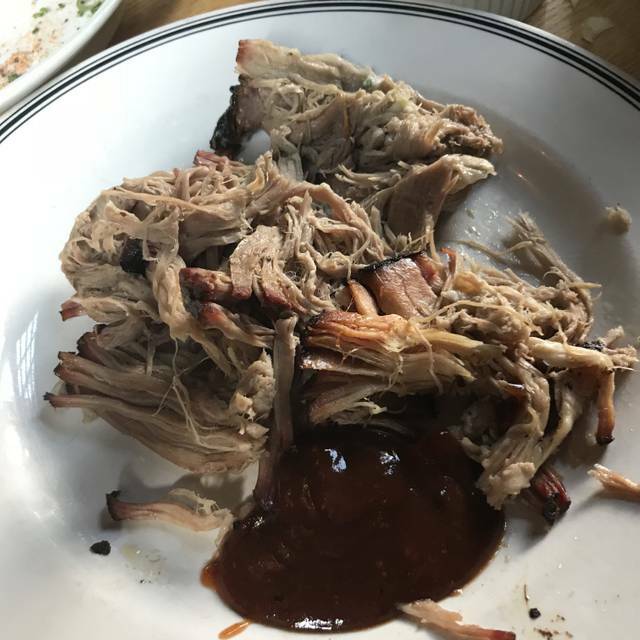 The pulled pork was decent but no better than what you’d get at any commercial bbq joint. The brisket was terrible. It tasted like it had been cooked several days before and reheated for us. Had we been eating at a Soulman’s or Dickey’s I may have expected he experience we got but the excitement we had built up for 18th & Vine only left us disappointed. We will rethink our next trip to Dallas for BBQ at that price point. The food was very good and the service was great. Restaurant is in a nice retrofitted old house. We enjoyed ourselves. The server was exceptional. He was very friendly, courteous, informative and attentive. There was also a tremendous team effort from the entire staff, especially Issac. Everyone’s stellar customer service attitude along with delicious food made for an outstanding dining experience. I remember the experience being a lot better a year ago. Food was decent and service was ok. Just not as great as it has been in previous visits. I grew up with barbeque from Kansas City, near the intersection of 18th and Vine. This is the most authentic KC barbeque that I have had. Much better than Texas barbeque. Try it, you'll see. Delicious food, good service, though seated next to extra loud guys (when only the two tables were filled first). Very delicious meal with lots of left overs. We got the couple's special-forgot what it was called. Ribs were amazing and everything else was great. Definitely a must try place! Great Service, appetizers (brunt ends, okra) were great. We opted for family style - got brisket, ribs, pulled pork and sausage. The sausage was excellent, really good. ribs and pulled pork were good, brisket was ok. The sides, mac and cheese, grits, brussel sprouts were good. Nice selection of beer. good price overall. This is our favorite BBQ restaurant. It's authentic Kansas City style, which makes it special in the local BBQ world. The food is just average. The brisket was dry and inedible. The burnt ends were the best part of the meal. 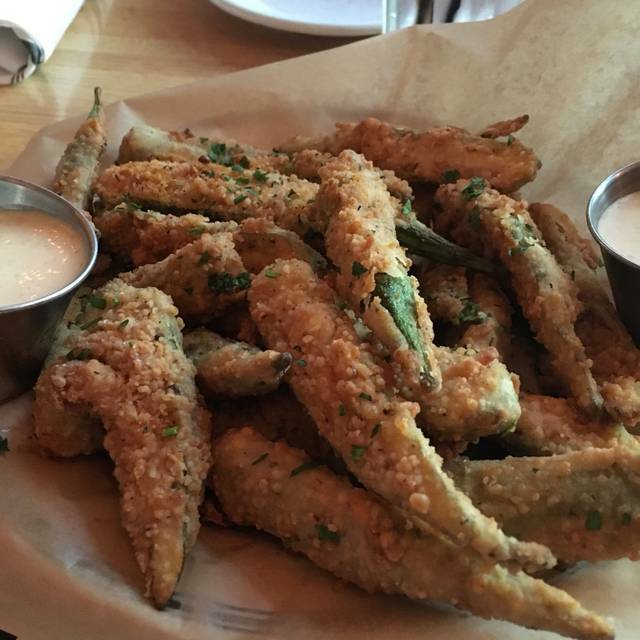 The fried okra was the best!! First...excellent service! Caylie was great! And the food was awesome! The Burnt Ends were delicious! Exceptional service by staff and management. I have s nut allergy and the kitchen went above and beyond to ensure I was informed and provided substitutes for options I could not have. Great BBQ and inviting atmosphere! Food not good. Service sub par. Will not return. This place is a hidden gem. A little off the beaten path but its worth venturing to. The staff is friendly, pleasant, and attentive. The food was amazing; Started with Queso w/ pulled pork, Turkey, ribs, and brisket for entrees complemented with charred Brussels sprouts and their vinegar based slaw. Can't wait to enjoy the patio when the weather heats up! Great food and really cute atmosphere! Our server was very nice and accommodating!